Panaji, Oct 23 (IANS) The controversial Criminal Laws (Rajasthan Amendment) ordinance, which was tabled on Monday in the Rajasthan state assembly is nothing but a “gag order” and the “fascist experiment” will be replicated in the rest of the country, including Goa, soon, state Congress president Shantaram Naik has said. “The bill makes grounds for introducing fascism in the country. 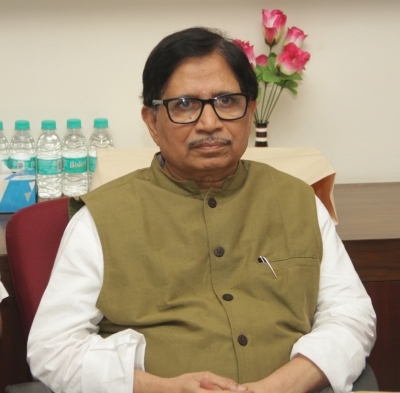 The first ground they are using to test this is in Rajasthan…I have got real apprehension, knowing the nature of the government, knowing the nature of the leadership in Goa, such a bill will be used in Goa too,” Naik told a press conference in Panaji. The Vasundhara Raje government’s ordinance amends the Criminal Code of Procedure, 1973, and also bars the media from naming the public servant till the state government allows the case to be investigated. Naik expressed fear that such a law could be imposed in Goa, also a BJP-ruled state like Rajasthan. “A Chief Minister who had the daring, nobody in the country had the daring, to cancel October 2, cancel Good Friday holiday. For them this is nothing. This is the true nature of BJP,” Naik said, referring to a past decision of a Manohar Parrikar-led coalition government to cancel Good Friday and Gandhi Jayanti holidays for government servants in 2001.